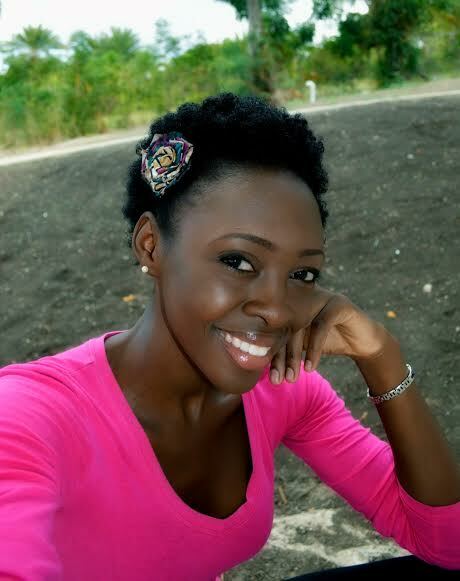 Nekisha Lewis is our natural beauty today and shares her hairy story with us. I’m Nekisha CD Lewis from the beautiful Caribbean isle of Antigua & Barbuda. I’m a 28 year old Administrative Assistant by day, natural hair blogger by night and poetry writer far and in-between. I have a passion for DIYs and sharing with others. I have always had “sal’ head” (salt head) which is how we, in the Caribbean, describe kids whose hair was excessively short and “picky”. Growing up I relaxed my hair to literal death. In my late teens (19 +) I started wearing weaves on a constant basis. At one point I did not own a shampoo or conditioner for in excess of a year because as soon as one extension was removed, I was at the hairdresser the next day getting my hair washed, treated and a new set of extensions installed. I did not have any love nor a connection to my own hair. 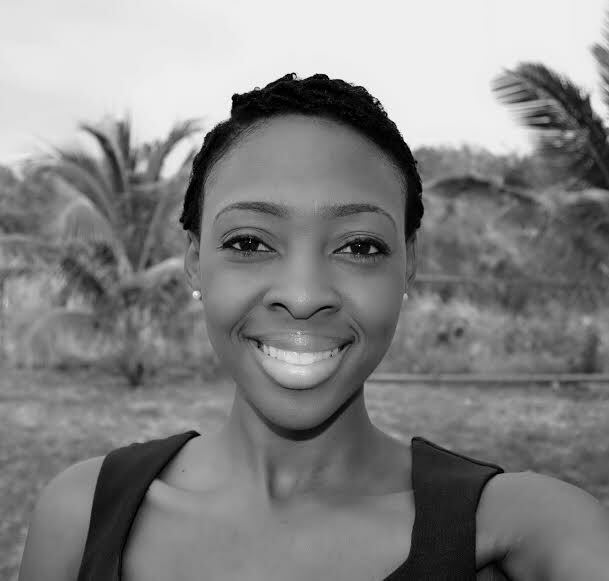 By age 24, my hair was so limp and lifeless that it truly could go no further and I did the most radical thing I had ever done – I big chopped! Since then I returned to the relaxer twice but my last relaxer was in March 2013 and I have no intention to go off track again. So, technically, I have been natural for 13 months. 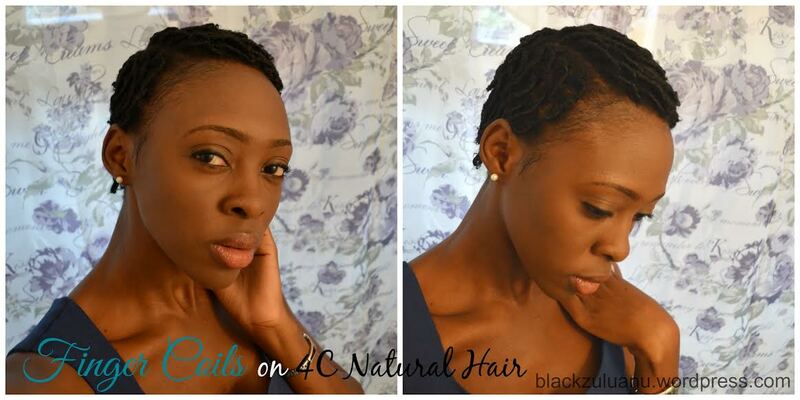 I love being natural but, honestly, I’m still learning to love my type of 4C textured hair. I’ve accepted it a long time ago and have found products that have made managing it a lot easier but I do have my moments where I wish there was a curl in there somewhere as oppose to all kink. My hair has a slow growth rate, shrinks to 1/4 of its actual length but all in all it is much healthier than my relaxed hair so I rock it like nobody’s business. I like to KISS (Keep It Simple Sista)! My weekly regimen consists of a shampoo, deep treatment, condition and an oil rinse. 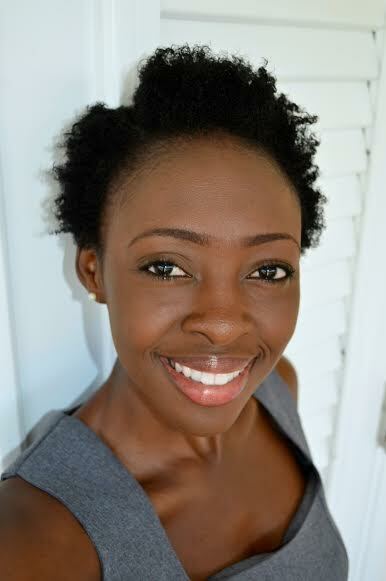 I use the LOC Method when moisturising and never go without my leave-in conditioner and my favourite moisturiser, Shea Moisture Curl Enhancing Smoothie. I also try to co-wash once a week especially since I have been on a castor oil challenge. I have been using castor oil on my scalp 3 – 4 times a week for almost 3 months now and I never sleep without my satin scarf. Because I big chopped, I did get ridiculed by some of my male co-workers during the initial stages but for the most part, I have had many compliments from males and females alike. I don’t let negative comments discourage me. In fact, it helps me embrace my natural hair even more because if I know someone doesn’t like to see me the way I am naturally then I know that they don’t like to see me – period. I do a lot of twist-outs in general. I am at that awkward stage where it’s too short to just go, but not long enough to achieve more advanced styles. 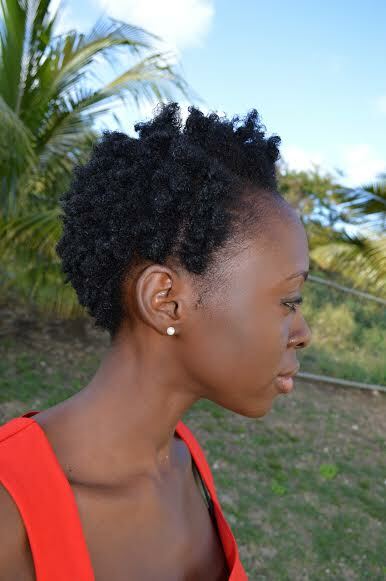 I twist my hair at nights and untwist in the mornings, fluff and go. First and foremost, I want healthy hair. During the first few months after I returned natural I experimented a lot with colour and went through about 5 different bleach and dye jobs over a 2 – 3 month period. Every time I tried a colour and hated it, I would cover it up with black then a few weeks later try a different colour. I know I will never have long, flowing hair – it’s just not in my gene. But a girl can try, right? I have just started my Hairfinity journey and hope to achieve a boost in growth in a few months. Returning natural can be one of the best decisions you can make for yourself. There is a feeling of empowerment that comes from looking at yourself ‘all natural’ and feeling content. Also, you should go natural for you and you alone. You will know when you are ready to take the journey. Research online, read blogs and when you’re ready to take the leap, you will love yourself for it. I learnt to love myself. I grew up hating my colour because of two words my Grandmother used to call me, “Black Zulu”. Even as I type this I can still hear the disdain in her voice as she said it. It took a really long time for me to see myself as beautiful and that is due largely in part by my embracing my natural hair. My blog is called Black Zulu because I wanted to take that negative influence and let it stand for something positive going forward. 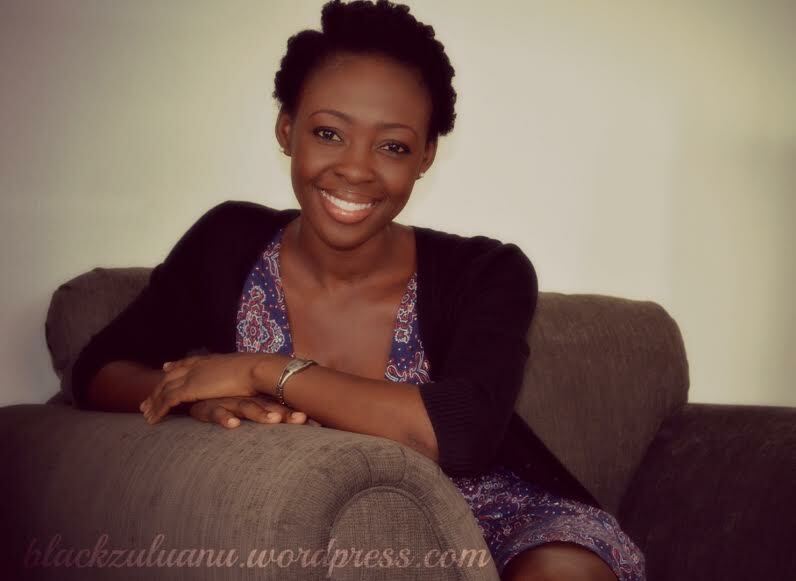 I blog at blackzuluanu.wordpress.com where I document my hair journey and share tips, advice and DIYs. Thanks for sharing the positivity!